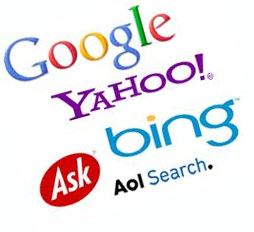 Are you currently advertising on Google, Yahoo, or Bing? Are you trying to manage those ads and keywords yourself? More importantly, are you or whoever is managing your ads measuring which keywords, ads, adgroups etc are leading to conversions? It you are unsure about these questions then you need to speak to one of our PPC specialists right way to get the scoop on how you can better invest your Pay Per Click dollars in Google, Yahoo and Bing. The most common misconception about Pay Per Click marketing is that anyone can just pick up and start a successful PPC campaign without any previous experience. Google likes to make business owners believe that it is truly easy to manage a PPC campaign and that anyone can do it. This cannot be more far from the truth. Managing a Pay per click campaign correctly requires a lot of previous experience and a great deal of technical expertise. It”s true you can go ahead and start your own campaign right this minute, but are you able to efficiently track your results? If you are unsure about something that was written above then you need Pay Per click experts to guide your PPC Campaign in the right direction. It is very possible that you are wasting hundreds (if not thousands) of dollars monthly because of a minor (or major) oversight. Each of our Pay Per Click managers have an average of 5 years of in depth Pay per click experience. Put your trust in experts who do this for a living. Click the button below or give us a call to discuss your current Pay Per Click situation. Whether you have a current campaign you want tweaked and properly managed, or you want to start a campaign from scratch (the right way) we can help. What are you waiting for? Click or call today!